This article is about the English men's football club. For the women's English football club, see Everton L.F.C. For the Chilean men's football club, see Everton de Viña del Mar. For other uses, see Everton. Everton Football Club (/ˈɛvərtən/) is a football club in Liverpool, England, that competes in the Premier League, the top flight of English football. The club have competed in the top division for a record 116 seasons, missing the top division only four times (1930–31 and three consecutive seasons starting with 1951–52) since The Football League was created in 1888. Everton have won 15 major trophies: the League Championship nine times (fourth most as of 2017–18), the FA Cup five times (ninth most) and the UEFA Cup Winners Cup once. Formed in 1878, Everton were founding members of The Football League in 1888 and won their first League Championship two seasons later. Following four League Championship and two FA Cup wins, Everton experienced a lull in the immediate post World War Two period, until a revival in the 1960s, which saw the club win two League Championships and an FA Cup. The mid-1980s represented their most recent period of sustained success, with two League Championships, an FA Cup, and the 1985 European Cup Winners' Cup. The club's most recent major trophy was the 1995 FA Cup. The club's supporters are known as Evertonians. Everton have a rivalry with neighbours Liverpool, and the two sides contest the Merseyside derby. The club has been based at Goodison Park in Walton, Liverpool, since 1892, after moving from Anfield following a row over its rent. The club's home colours are royal blue shirts with white shorts and socks. Main article: History of Everton F.C. The club was a founding member of the Football League in 1888–89 and won their first League Championship title in the 1890–91 season. Everton won the FA Cup for the first time in 1906 and the League Championship again in 1914–15. The outbreak of the First World War in 1914 interrupted the football programme while Everton were champions, which was something that would again occur in 1939. It was not until 1927 that Everton's first sustained period of success began. In 1925 the club signed Dixie Dean from Tranmere Rovers. In 1927–28, Dean set the record for top-flight league goals in a single season with 60 goals in 39 league games, which is a record that still stands. He helped Everton win their third League Championship that season. However, Everton were relegated to the Second Division two years later during internal turmoil at the club. The club quickly rebounded and was promoted at the first attempt, while scoring a record number of goals in the Second Division. On return to the top flight in 1931–32, Everton wasted no time in reaffirming their status and won a fourth League Championship at the first opportunity. Everton also won their second FA Cup in 1933 with a 3–0 win against Manchester City in the final. The era ended in 1938–39 with a fifth League Championship. The outbreak of the Second World War again saw the suspension of league football, and when official competition resumed in 1946, the Everton team had been split up and paled in comparison to the pre-war team. Everton were relegated for the second time in 1950–51 and did not earn promotion until 1953–54, when they finished as runners-up in their third season in the Second Division. The club have been a top-flight presence ever since. Everton's second successful era started when Harry Catterick was made manager in 1961. In 1962–63, his second season in charge, Everton won the League Championship. In 1966 the club won the FA Cup with a 3–2 win over Sheffield Wednesday. Everton again reached the final in 1968, but this time were unable to overcome West Bromwich Albion at Wembley. Two seasons later in 1969–70, Everton won the League Championship, finishing nine points clear of nearest rivals Leeds United. During this period, Everton were the first English club to achieve five consecutive years in European competitions – covering the seasons from 1961–62 to 1966–67. However, the success did not last; the team finished fourteenth, fifteenth, seventeenth and seventh in the following seasons. Harry Catterick retired, but his successors failed to win any silverware for the remainder of the 1970s despite finishing fourth in 1974–75 under manager Billy Bingham, third in 1977–78 and fourth the following season under manager Gordon Lee. Lee was sacked in 1981. 1985 European Cup Winners' Cup Final starting line-up. Howard Kendall took over as manager and guided Everton to their most successful era. Domestically, Everton won the FA Cup in 1984 and two League Championships in 1984–85 and 1986–87. In Europe, the club won its first, and so far only, European trophy by securing the European Cup Winners' Cup in 1985. The European success came after first beating University College Dublin, Inter Bratislava and Fortuna Sittard. Then, Everton defeated German giants Bayern Munich 3–1 in the semi-finals, despite trailing at half time (in a match voted the greatest in Goodison Park history), and recorded the same scoreline over Austrian club Rapid Vienna in the final. Having won both the League and Cup Winners' Cup in 1985, Everton came very close to winning a treble, but lost to Manchester United in the FA Cup final. The following season, 1985–86, Everton were runners-up to neighbours Liverpool in both the League and the FA Cup, but did recapture the League Championship in 1986–87. After the Heysel Stadium disaster and the subsequent ban of all English clubs from continental football, Everton lost the chance to compete for more European trophies. A large proportion of the title-winning side was broken up following the ban. Kendall himself moved to Athletic Bilbao after the 1987 title triumph and was succeeded by assistant Colin Harvey. Harvey took Everton to the 1989 FA Cup Final, but lost 3–2 after extra time to Liverpool. Everton were founding members of the Premier League in 1992, but struggled to find the right manager. Howard Kendall had returned in 1990, but could not repeat his previous success. His successor, Mike Walker, was statistically the least successful Everton manager to date. When former Everton player Joe Royle took over in 1994, the club's form started to improve; his first game in charge was a 2–0 victory over derby rivals Liverpool. Royle dragged Everton clear of relegation and led the club to the FA Cup for the fifth time in its history by defeating Manchester United 1–0 in the final. The cup triumph was also Everton's passport to the Cup Winners' Cup – their first European campaign in the post-Heysel era. Progress under Royle continued in 1995–96 as they climbed to sixth place in the Premiership. A fifteenth-place finish the following season saw Royle resign towards the end of the campaign, and he was temporarily replaced by club captain Dave Watson. Howard Kendall was appointed Everton manager for the third time in 1997, but the appointment proved unsuccessful as Everton finished seventeenth in the Premiership. The club only avoided relegation due to their superior goal difference over Bolton Wanderers. Former Rangers manager Walter Smith then took over from Kendall in the summer of 1998, but only managed three successive finishes in the bottom half of the table. The Everton board finally ran out of patience with Smith, and he was sacked in March 2002 after an FA Cup exit at Middlesbrough and with Everton in real danger of relegation. His replacement, David Moyes, guided Everton to a safe finish in fifteenth place. In 2002–03 Everton finished seventh, which was their highest finish since 1996. It was under Moyes' management that Wayne Rooney broke into the first team before being sold to Manchester United for a club record fee of £28 million in the summer of 2004. A fourth-place finish in 2004–05 ensured that Everton qualified for the UEFA Champions League qualifying round. The team failed to make it through to the Champions League group stage and were then eliminated from the UEFA Cup. Everton qualified for the 2007–08 and 2008–09 UEFA Cup competitions, and they were runners-up in the 2009 FA Cup Final. During this period, Moyes broke the club record for highest transfer fee paid on four occasions: signing James Beattie for £6 million in January 2005, Andy Johnson for £8.6 million in summer 2006, Yakubu for £11.25 million in summer 2007, and Marouane Fellaini for £15 million in September 2008. At the end of the 2012–13 season, Moyes left his position at Everton to take over at Manchester United. He was replaced by Roberto Martínez, who led Everton to 5th place in the Premier League in his first season while amassing the club's best points tally in 27 years with 72. The following season, Martínez led Everton to the last 16 of the 2014-15 UEFA Europa League, where they were defeated by Dynamo Kyiv, whilst domestically finishing 11th in the Premier League. Everton reached the semi-finals of both the League Cup and the FA Cup in 2015–16, but were defeated in both. After a poor run of form in the Premier League, Martínez was sacked following the penultimate game of the season, with Everton lying in 12th place. Martínez was replaced in the summer of 2016 by Ronald Koeman, who left Southampton to sign a 3-year contract with Everton. In his first season at the club he guided them back into the group stages of the Europa League, after finishing 7th. A poor start to the following season left Everton in the relegation zone after nine games, and Koeman was sacked on 23 October following a 5–2 home defeat to Arsenal. After a five-week period with David Unsworth acting as caretaker manager, Sam Allardyce was appointed as Everton manager in November 2017, but he was sacked at the end of the season amid fan discontent at his style of play. Marco Silva was named Everton manager in May 2018. At the end of the 1937–38 season, Everton secretary Theo Kelly, who later became the club's first manager, wanted to design a club necktie. It was agreed that the colour be blue, and Kelly was given the task of designing a crest to be featured on the necktie. He worked on it for four months until deciding on a reproduction of Everton Lock-Up, which stands in the heart of the Everton district. The Lock-Up has been inextricably linked with the Everton area since its construction in 1787. It was originally used as a bridewell to incarcerate mainly drunks and minor criminals, and it still stands today on Everton Brow. The Lock-Up was accompanied by two laurel wreaths on either side and, according to the College of Arms in London, Kelly chose to include the laurels as they were the sign of winners. The crest was accompanied by the club motto, "Nil Satis Nisi Optimum", meaning "Nothing but the best is good enough". The ties were first worn by Kelly and the Everton chairman, Mr. E. Green, on the first day of the 1938–39 season. In May 2013, the club launched a new crest to improve the reproducibility of the design in print and broadcast media, particularly on a small scale. Critics[who?] suggested that it was external pressure from sports manufacturer Nike, Inc. that evoked the redesign as the number of colours had been reduced and the radial effect was removed, which made the kit more cost efficient to reproduce. [citation needed] The redesign was poorly received by supporters, with a poll on an Everton fan site registering a 91% negative response to the crest. A protest petition reached over 22,000 signatures before the club offered an apology and announced a new crest would be created for the 2014–15 season with an emphasis on fan consultation. Shortly afterwards, the Head of Marketing left the club. The latest crest was revealed by the club on 3 October 2013. After a consultation process with the supporters, three new crests were shortlisted. In the final vote, the new crest was chosen by almost 80% of the supporters that took part and began being used in July 2014. Current crest - 2014–15 season onwards. Everton's most widely recognised nickname "The Toffees" or "The Toffeemen", which came about after Everton had moved to Goodison. There are several explanations for how this name came to be adopted with the best known being that there was a business in Everton village, between Everton Brow and Brow Side, named Mother Noblett's, which was a toffee shop that sold sweets including the Everton Mint. It was also located opposite the lock up which Everton's club crest is based on. The Toffee Lady tradition in which a girl walks around the perimeter of the pitch before the start of a game tossing free Everton Mints into the crowd symbolises the connection. Another possible reason is that there was a house named Ye Anciente Everton Toffee House in nearby Village Street, Everton, run by Ma Bushell. The toffee house was located near the Queen's Head hotel in which early club meetings took place. Everton have had many other nicknames over the years. When the black kit was worn, Everton were nicknamed "The Black Watch" after the famous army regiment. Since going blue in 1901, Everton have been given the simple nickname "The Blues". Everton's attractive style of play led to Steve Bloomer calling the team "scientific" in 1928, which is thought to have inspired the nickname "The School of Science". The battling 1995 FA Cup winning side were known as "The Dogs of War". When David Moyes arrived as manager, he proclaimed Everton as "The People's Club", which has been adopted as a semi-official club nickname. George Mahon arranged for Everton to move to Goodison Park. Everton originally played in the southeast corner of Stanley Park. The first official match took place in 1879. In 1882, a man named J. Cruitt donated land at Priory Road which became the club's home. In 1884 Everton became tenants at Anfield, which was owned by John Orrell, a land owner who was a friend of Everton F.C. member John Houlding. Orrell lent Anfield to the club in exchange for a small rent. Houlding purchased the land from Orrell in 1885 and effectively became Everton's landlord by charging the club rent, which increased from £100 to £240 a year by 1888 – and was still rising until Everton left the ground in 1892. The club regarded the increase in rent as unacceptable. A further dispute between Houlding and the club's committee led to Houlding attempting to gain full control of the club by registering the company, "Everton F.C. and Athletic Grounds Ltd". Everton left Anfield for a new ground, Goodison Park, where the club have played ever since. Houlding attempted to take over Everton's name, colours, fixtures and league position, but was denied by The Football Association. Instead, Houlding formed a new club, Liverpool F.C. Goodison Park, the first major football stadium to be built in England, was opened in 1892. Goodison Park has staged more top-flight football games than any other ground in the United Kingdom and was the only English club ground to host a semi-final at the 1966 FIFA World Cup. It was also the first English ground to have under soil heating and the first to have two tiers on all sides. The church grounds of St Luke the Evangelist are adjacent to the corner of the Main Stand and the Howard Kendall Gwladys Street End. On match days, in a tradition going back to 1962, players walk out to the theme song for Z-Cars, which is named "Johnny Todd". It is a traditional Liverpool children's song collected in 1890 by Frank Kidson and tells the story of a sailor betrayed by his lover while away at sea. On two separate occasions in 1994, the club walked out to different songs. In August 1994, the club played 2 Unlimited's song "Get Ready For This". A month later, the club used a reworking of the Creedence Clearwater Revival classic "Bad Moon Rising". Both songs were met with complete disapproval by Everton fans. From 1966 to 2007, Everton trained at Bellefield in the West Derby area of Liverpool. They moved to the Finch Farm training complex in Halewood in 2007. The training ground houses both the Everton first team and the youth academy. There have been indications since 1996 that Everton will move to a new stadium. The original plan was for a new 60,000 seat stadium, but in 2000 a proposal was submitted to build a 55,000 seat stadium as part of the King's Dock regeneration. This proposal was unsuccessful as Everton failed to generate the £30 million needed for a half stake in the stadium project, and the city council rejected the proposal in 2003. Late in 2004, driven by the Liverpool Council and the Northwest Development Corporation, the club entered talks with Liverpool F.C. about sharing a proposed stadium on Stanley Park. However, negotiations broke down as Everton failed to raise 50% of the costs. On 11 January 2005, Liverpool announced that ground-sharing was not a possibility and proceeded to plan their own Stanley Park Stadium. Everton entered into talks with the Knowsley Council and Tesco in June 2006 over the possibility of building a new 55,000 seat stadium, expandable to over 60,000, in Kirkby. The plan became known as The Kirkby Project. The club took the unusual move of giving its supporters a say in the club's future by holding a ballot on the proposal with the results being in favour of it, 59% to 41%. Opponents to the plan included other local councils concerned by the effect of a large Tesco store being built as part of the development and a group of fans demanding that Everton should remain within the city boundaries of Liverpool. Following a public inquiry into the project, the central government rejected the proposal. Local and regional politicians attempted to put together an amended rescue plan with the Liverpool City Council calling a meeting with Everton F.C. The plan was to assess some suitable sites short listed within the city boundary. However, the amended plan was also not successful. The Liverpool City Council Regeneration and Transport Select Committee meeting on 10 February 2011 featured a proposal to open the Bootle Branch line using "Liverpool Football Club and Everton Football Club as priorities, as economic enablers of the project". This proposal would place both football clubs on a rapid transit Merseyrail line that would circle the city and ease transport access. In September 2014 the club, working with the Liverpool City Council and Liverpool Mutual Homes, outlined initial plans to build a new stadium in Walton Hall Park. However, those plans were later scrapped in May 2016 with the prospect of two new sites being identified for the club. At the Annual General Meeting in January 2017, the chairman, Bill Kenwright revealed that Bramley-Moore Dock was the preferred site for the new stadium, with a new railway station and a new road being funded by the City Council. The choice of the Bramley Moore Dock site was endorsed in a public consultation exercise conducted in 2018. Everton have a large fanbase, with the eighth highest average attendance in the Premier League in the 2008–09 season. The majority of Everton's matchday support comes from the North West of England, primarily Merseyside, Cheshire, West Lancashire and parts of Western Greater Manchester along with many fans who travel from North Wales and Ireland. Within the city of Liverpool, support for Everton and city rivals Liverpool is not determined by geographical basis with supporters mixed across the city. Everton also have many supporters' clubs worldwide in places such as North America, Singapore, Indonesia, Lebanon, Malaysia, Thailand, India and Australia. The official supporters club is FOREVERTON, and there are also several fanzines including When Skies are Grey and Speke from the Harbour, which are sold around Goodison Park on match days. Everton regularly take large numbers away from home both domestically and in European fixtures. The club implements a loyalty points scheme offering the first opportunity to purchase away tickets to season ticket holders who have attended the most away matches. Everton often sell out the full allocation in away grounds, and tickets sell particularly well for North West England away matches. In October 2009, Everton took 7,000 travelling fans to Benfica, which was their largest ever away crowd in Europe since the 1985 European Cup Winners' Cup Final. Everton's biggest rivalry is with neighbours Liverpool, against whom they contest the Merseyside derby. The rivalry stems from an internal dispute between Everton officials and the owners of Anfield, which was then Everton's home ground. The dispute resulted in Everton moving to Goodison Park and the subsequent formation of Liverpool F.C. in 1892. Following these events, a fierce rivalry has existed between Everton and Liverpool, albeit one that is generally perceived as more respectful than many other derbies in English football. This was illustrated by a chain of red and blue scarves that were linked between the gates of both grounds across Stanley Park as a tribute to the Liverpool fans killed in the Hillsborough disaster. The derby is usually a sellout fixture and has been known as the "friendly derby" because both sets of fans can often be seen side by side dressed in red and blue inside both Anfield and Goodison Park. Recently on the field, matches tend to be extremely stormy affairs; the derby has had more red cards than any other fixture in Premier League history. See also List of Everton F.C. international players. The Football League 100 Legends is a list of "100 legendary football players" produced by The Football League in 1998 to celebrate the 100th season of League football. Everton F.C. is a limited company with the board of directors holding a majority of the shares. The club's most recent accounts, from May 2014, show a net total debt of £28.1 million, with a turnover of £120.5 million and a profit of £28.2 million. The club's overdraft with Barclays Bank is secured against the Premier League's "Basic Award Fund", which is a guaranteed sum given to clubs for competing in the Premier League. Everton agreed to a long-term loan of £30 million with Bear Stearns and Prudential plc in 2002 for a duration of 25 years. The loan was a consolidation of debts at the time as well as a source of capital for new player acquisitions. Goodison Park is secured as collateral. On 27 February 2016, it was announced that Farhad Moshiri would buy a 49.9% stake in the club. Owner, Club Owner Farhad Moshiri 17,465 Bought 49.90% of Everton Football Club February 2016. In 2018 he bought all of Jon Woods shares taking ownership to 58.8% of Everton. In September 2018 he increased his shares to 68.6%. Chairman Bill Kenwright CBE 4,256 Elected to board October 1989. Commencing in the 2017–18 season, Everton's shirts are sponsored by SportPesa. Previous sponsors include Chang Beer (2004–17) Hafnia (1979–85), NEC (1985–95), Danka (1995–97), one2one (1997–2002) and Kejian (2002–04). For the 2008–09 season, Everton sold junior replica jerseys without the current name or logo of its main sponsor Chang beer, which followed a recommendation from the Portman Group that alcoholic brand names be removed from kits sold to children. Everton's current kit manufacturers are Umbro, who have been the club's kit manufacturer three times previously (1974–83, 1986–2000, and 2004–09). Other previous manufacturing firms are Le Coq Sportif (1983–86, 2009–12), Puma (2000–04) and Nike (2012–14). The club currently has two 'megastores': one located near Goodison Park on Walton Lane named 'Everton One' and one located in the Liverpool One shopping complex named 'Everton Two', which gives the second store the address 'Everton Two, Liverpool One'. The club's current manager, Marco Silva, is the seventeenth permanent holder of the position since it was established in 1939. There have also been four caretaker managers, and before 1939 the team was selected by either the club secretary or by committee. The club's longest-serving manager has been Harry Catterick, who was in charge of the team from 1961–73 for 594 first team matches. The Everton manager to win the most domestic and international trophies is Howard Kendall, who won two First Division championships, the 1984 FA Cup, the 1985 UEFA Cup Winners' Cup, and three FA Charity Shields. Neville Southall holds the record for the most Everton appearances with 751 first-team matches between 1981 and 1997. The late centre half and former captain Brian Labone comes in second with 534 matches. The longest serving player is goalkeeper Ted Sagar, who played for 23 years between 1929 and 1953. This tenure covered both sides of the Second World War and included a total of 495 appearances. Southall also previously held the record for the most league clean sheets during a season with 15. However, this record was beaten during the 2008–09 season by American goalkeeper Tim Howard, who ended the season with 17 clean sheets. The club's top goalscorer, with 383 goals in all competitions, is Dixie Dean; the second-highest goalscorer is Graeme Sharp with 159. Dean still holds the English national record of most goals in a season with 60. The record attendance for an Everton home match is 78,299 against Liverpool on 18 September 1948. Remarkably, there was only one injury at this game, which occurred when Tom Fleetwood was hit on the head by a coin thrown from the crowd whilst he marched around the perimeter and played the cornet with St Edward's Orphanage Band. Goodison Park, like all major English football grounds since the recommendations of the Taylor Report were implemented, is now an all-seater and only holds just under 40,000, meaning it is unlikely that this attendance record will ever be broken at Goodison. Everton's record transfer paid was to Swansea City for the Icelandic midfielder Gylfi Sigurðsson for a sum of £45m in 2017. The sale of Romelu Lukaku to Manchester United was for an initial sum of £75m, a record fee between two English clubs and the largest sum Everton have received for a player. Everton hold the record for the most seasons in England's top tier (Division One/Premier League), at 114 seasons out of 118 as of 2016–17 (the club played in Division 2 in 1930–31 and from 1951–54). They are one of six teams to have played in every season of the Premier League since its inception in August 1992 – the others being Arsenal, Chelsea, Liverpool, Manchester United, and Tottenham Hotspur. Everton against Aston Villa is the most played fixture in England's top flight. As of the 2012–13 season, the two founding members of the Football League have played a record 196 league games. Everton's community department, Everton in the Community (EitC), is a charity that provides sports and other social activities for the local community including for people with disabilities. EitC represents the club in the European Multisport Club Association. Everton have a link with Republic of Ireland football academy Ballyoulster United based in Celbridge, Canada's Ontario Soccer Association, and the Football Association of Thailand where they have a competition named the Chang-Everton cup which local schoolboys compete for. The club also have a football academy in Limassol, Cyprus and a partnership agreement with American club Pittsburgh Riverhounds. The club also owned and operated a professional basketball team, by the name of Everton Tigers, who competed in the elite British Basketball League. The team was launched in the summer of 2007 as part of the club's Community programme and played their home games at the Greenbank Sports Academy. The team was an amalgam of the Toxteth Tigers community youth programme, which started in 1968. The team quickly became one of the most successful in the league by winning the BBL Cup in 2009 and the play-offs in 2010. However, Everton withdrew funding before the 2010–11 season, and the team was re-launched as the Mersey Tigers. Everton also have links with Chilean team Everton de Viña del Mar who were named after the English club. On 4 August 2010, the two Evertons played each other in a friendly named the Copa Hermandad at Goodison Park to mark the centenary of the Chilean team. The occasion was organised by The Ruleteros Society, which is a society founded to promote connections between the two clubs. Other Everton clubs exist in Rosario, Colonia in Uruguay, La Plata and Río Cuarto in Argentina, Elk Grove, California in the United States, and in Cork, Ireland. There was also an Everton, who played in Trinidad and Tobago. The 1997 television film The Fix dramatised the true story of a match fixing scandal in which the club's recent newly signed wing half Tony Kay, played by Jason Isaacs, is implicated in having helped to throw a match between his previous club Sheffield Wednesday and Ipswich Town. The majority of the story is set during Everton's 1962–63 League Championship winning season with then manager Harry Catterick played by Colin Welland. First shown in 1969, the television movie The Golden Vision, directed by Ken Loach, combined improvised drama with documentary footage to tell of a group of Everton fans for whom the main purpose of life, following the team, is interrupted by such inconveniences as work and weddings. The film's title character, celebrated forward Alex Young, was one of several who appeared as themselves. In the 2015 film Creed, part of the Rocky franchise, Goodison Park features prominently and serves as the venue of climatic fight scene. Filming for this had been taken of the stadium and crowd during a match against West Bromwich Albion. Boxer Tony Bellew, an Everton supporter, plays Creed's opponent Ricky Conlon and wears the Everton badge on his training gear and shorts. The club have entered the UK pop charts on four occasions under different titles during the 1980s and 1990s when many clubs released a song to mark their reaching the FA Cup Final. "The Boys in Blue", released in 1984, peaked at number 82. The following year the club scored their biggest hit when "Here We Go" peaked at 14. In 1986 the club released "Everybody's Cheering the Blues" which reached number 83. "All Together Now", a reworking of a song by Merseyside band The Farm, was released for the 1995 FA Cup Final and reached number 27. When the club next reached the 2009 FA Cup Final, the tradition had passed into history and no song was released. ^ Southall was inducted along with Liverpool F.C. 's Steven Gerrard at a special European night to celebrate the city's successful European Capital of Culture bid. ^ "Goodison Park Everton FC, Info & Map". Premier League. ^ "A brief history of Everton". Retrieved 2 September 2015. ^ a b "Club profile: Everton". Premier League. Retrieved 23 August 2010. ^ "St Domingo's – 53.425799°N, 2.964903°W". Everton F.C. 10 May 2016. Retrieved 10 May 2016. ^ "9 Facts About Football in the First World War". Retrieved 3 September 2015. ^ "10 Facts About Football in the Second World War". Retrieved 3 September 2015. ^ "The Everton Story – 1878 to 1930". Everton F.C. Retrieved 16 November 2007. ^ Scott Murray (21 January 2011). "The Joy of Six: Newly promoted success stories". The Guardian. Retrieved 3 October 2018. ^ Karel Stokkermans (17 June 2018). "English Energy and Nordic Nonsense". RSSSF. Retrieved 3 October 2018. ^ "Football and the First World War". Spartacus Educational. Archived from the original on 17 April 2009. Retrieved 5 November 2011. ^ "Everton 1938–1939 : Home". statto.com. Archived from the original on 22 September 2013. Retrieved 5 November 2011. ^ "The Everton Story – 1931 to 1960". Everton F.C. Archived from the original on 13 November 2006. Retrieved 16 November 2007. ^ "1962/63 Season | Everton Football Club". www.evertonfc.com. Retrieved 3 September 2015. ^ "'A great final – a fantastic comeback'". BBC. Retrieved 3 September 2015. ^ Association, Press. "West Brom to honour Jeff Astle by wearing replica 1968 FA Cup final kit". the Guardian. Retrieved 3 September 2015. ^ "1969/70 Season | Everton Football Club". www.evertonfc.com. Retrieved 3 September 2015. ^ "1969/70 SEASON". Everton FC. Retrieved 8 October 2013. ^ "The Everton Story – 1961 to 1980". Everton F.C. Retrieved 16 November 2007. ^ a b c d "The Everton Story – 1981 to 2006". Everton F.C. Retrieved 16 November 2007. ^ "Goodison's greatest night". Everton F.C. Retrieved 24 August 2006. ^ "Everton sack boss Walter Smith". CBBC Newsround. 13 March 2002. Retrieved 21 July 2007. ^ "Can Moyes revive Everton?". BBC Sport. 14 March 2002. Retrieved 21 July 2007. ^ "Final 2001/2002 English Premier Table". Soccerbase. Archived from the original on 2 October 2007. Retrieved 21 July 2007. ^ "Rooney deal explained". BBC Sport. 1 September 2004. Retrieved 22 August 2006. ^ "Final 2006–07 English Premier Table". Soccerbase. Archived from the original on 21 December 2007. Retrieved 16 November 2007. ^ a b "Everton complete Johnson capture". BBC Sport. 30 May 2006. Retrieved 23 August 2010. ^ "Yakubu joins Everton for £11.25m". BBC Sport. UK. 29 August 2007. Retrieved 2 September 2015. ^ "Everton smash record for Fellaini". BBC Sport. 2 September 2008. Retrieved 23 August 2010. ^ "Roberto Martínez confirmed as the new Everton manager". The Guardian. 5 June 2013. Retrieved 5 June 2013. ^ Darling, Kevin (11 May 2014). "Hull 0 – 2 Everton". BBC Sport. BBC. Retrieved 13 May 2014. ^ "Dynamo Kyiv 5–2 Everton". uefa.com. UEFA. 19 March 2015. Retrieved 12 May 2016. ^ Hunter, Andy (12 May 2016). "Roberto Martínez sacked by Everton after disappointing season". The Guardian. Retrieved 12 May 2016. ^ "Ronald Koeman: Everton appoint ex-Southampton boss as manager". BBC Sport. BBC. 14 June 2016. Retrieved 14 June 2016. ^ "Ronald Koeman: Everton sack manager after Arsenal defeat". BBC Sport. BBC. 23 October 2017. Retrieved 23 October 2017. ^ "Sam Allardyce appointed new Everton manager before Huddersfield game". The Guardian. 30 November 2017. ISSN 0261-3077. Retrieved 1 December 2017. ^ "Sam Allardyce sacked by Everton after six months as manager". The Guardian. 16 May 2018. Retrieved 16 May 2018. ^ Hunter, Andy (31 May 2018). "Everton confirm appointment of Marco Silva as new manager". the Guardian. Retrieved 31 May 2018. ^ Nov 8, A. P.; ET, 2018 at 4:40p (8 November 2018). "Everton handed 2-year ban from signing academy players". FOX Sports. ^ a b "Everton history – II: Before World War I (1888–1915)". Toffeeweb. Retrieved 16 November 2007. ^ "New Away Kit on Sale". Everton F.C. Retrieved 5 November 2011. ^ a b c "History of Everton crest from official site". Everton F.C. Retrieved 21 August 2006. ^ "Breakdown of Elements". Everton F.C. Official Website. 25 May 2013. Retrieved 25 May 2013. ^ Jones, Neil (27 May 2013). "Everton fans' disappointment at 'modern, cleaner' Blues badge". Liverpool Echo. Retrieved 27 May 2013. ^ Clark, Adam (3 October 2013). "Next Crest Revealed". Everton F.C. Official Website. Retrieved 5 July 2014. ^ "Everton reveal crest vote results after motto U-turn". BBC. 3 October 2013. Retrieved 5 July 2014. ^ Bleaney, Rob (4 July 2014). "Everton begin using new club crest chosen by fans after huge backlash". The Guardian. Retrieved 5 July 2014. ^ "Reasons behind the "toffees" nickname". Toffeeweb. Archived from the original on 9 August 2006. Retrieved 21 August 2006. ^ "Early Everton history – "The Black Watch"". Everton F.C. Retrieved 21 August 2006. ^ "The School of Science". Toffeeweb. Archived from the original on 9 August 2006. Retrieved 21 August 2006. ^ Mullock, Simon (8 May 2010). "Everton are a better buy than Liverpool, says David Moyes". Daily Mirror. UK. Retrieved 24 August 2010. ^ "I: THE EARLY DAYS (1878–88)". Toffeeweb. Retrieved 17 November 2007. ^ "Liverpool Football Club is formed". Liverpool FC. Archived from the original on 7 September 2012. Retrieved 22 April 2014. ^ "History of Goodison Park". Toffeeweb. Retrieved 16 July 2009. ^ "Everton firsts". Everton F.C. Retrieved 22 August 2006. ^ Prentice, David. "The 'real' story behind Everton's enduring anthem Z-Cars". Retrieved 3 September 2015. ^ "Johnny Todd". feniks.com. Archived from the original on 18 February 2007. Retrieved 21 August 2006. ^ Mimms, Robert (July 1998). "Amateur Dramatics". When Saturday Comes. Retrieved 26 December 2013. ^ Prentice, David (22 March 2011). "The Ghosts of Bellefield part one: Football history in the making for Everton FC". Liverpool Echo. Retrieved 11 March 2015. ^ "Kings Dock proposal collapse". BBC Sport. 11 April 2003. Retrieved 22 August 2006. ^ "Everton and Liverpool say no to ground share". icliverpool. Retrieved 22 August 2006. ^ "Merseysiders rule out groundshare". BBC Sport. 1 November 2005. Retrieved 17 November 2007. ^ "Everton in talks on stadium move". BBC. 15 June 2006. Retrieved 21 August 2006. ^ a b Conn, David (21 January 2009). "Grounds for discontent at Everton as move hits trouble". The Guardian. UK. Retrieved 23 August 2010. ^ "New Everton stadium faces inquiry". BBC Sport. 6 August 2008. Retrieved 4 January 2010. ^ "Government reject Everton's Kirkby stadium plans". BBC Sport. 26 November 2009. Retrieved 23 August 2010. ^ "Government reject Everton's Kirkby stadium plans". BBC Sport. 26 November 2009. Retrieved 2 December 2009. ^ "Government dash Toffees plans". Sky Sports. 25 November 2009. Retrieved 25 November 2009. ^ "Liverpool City Council Regeneration and Transport Select Committee meeting on 10.02.2011". Retrieved 22 April 2014. ^ Tallentire, Mark (15 September 2014). "Everton announce plan for new stadium in nearby Walton Hall Park". The Guardian. Retrieved 16 September 2014. ^ "Liverpool Mayor says Everton will have new stadium 'within three years'". Liverpool Echo. 16 May 2016. Retrieved 19 June 2016. ^ "Everton reveal Bramley Moore Dock as preferred stadium site". BBC News. Retrieved 5 January 2017. ^ "Everton pushes on with stadium plans". Place North West. ^ "English Premier League – Attendance – 2009/2010". ESPN. Retrieved 23 August 2010. ^ "List of Everton Supporters Clubs". Bluekipper. Archived from the original on 20 August 2006. Retrieved 21 August 2006. ^ "Everton Supporters Clubs (North America)". Everton USA. ^ "Everton Supporters Club (Singapore)". Singapore Everton Supporters' Club Website. Archived from the original on 20 August 2006. Retrieved 21 August 2006. ^ "Everton Supporters Club of Malaysia". Everton Supporters Club of Malaysia. ^ "Everton Official Site" (in Thai). Everton F.C. Archived from the original on 20 August 2006. Retrieved 21 August 2006. ^ "Everton Supporters Club Australia". Everton Supporters Club Australia. Retrieved 7 November 2010. ^ "FOREVERTON – Official Everton Supporters Club". Everton F.C. Retrieved 21 August 2006. ^ Brett, Oliver (22 October 2009). "Benfica 5 – 0 Everton". BBC Sport. Retrieved 2 July 2010. ^ "Merseyside Derby". footballderbies.com. Retrieved 22 August 2006. ^ Malam, Colin (26 March 2006). "Gerrard off as Reds take derby honours". Daily Telegraph. UK. Retrieved 24 August 2010. ^ "First Team". Everton F.C. Retrieved 30 August 2018. ^ "Everton Giants". Everton F.C. Retrieved 27 May 2011. ^ "Greatest Ever Everton team". Everton F.C. Retrieved 22 August 2006. ^ "Hall of Fame – National Football Museum". National Football Museum. Archived from the original on 14 November 2007. Retrieved 16 November 2007. ^ "Peter Beardsley". National Football Museum. Archived from the original on 17 August 2010. Retrieved 4 August 2010. ^ "Sport: Football Legends list in full". BBC Sport. 5 August 1998. Retrieved 31 August 2007. ^ "Brands Becomes Everton's New Director Of Football". www.evertonfc.com. Retrieved 17 May 2018. ^ "Marco Silva appointed Everton boss on three year deal". Liverpool Echo. Retrieved 31 May 2018. ^ a b c d Prentice, David (31 May 2018). "Meet Team Silva – Marco Silva's trusted backroom staff". liverpoolecho. Retrieved 31 May 2018. ^ "Marco Silva and Paulo Fonseca favourites in next Everton manager betting". Sky Sports News. 16 May 2018. Retrieved 19 May 2018. ^ Prentice, David (28 February 2018). "Martin Dobson succeeds Joe Royle as Everton professional development co-ordinator". Liverpool Echo. Retrieved 16 March 2018. ^ "Annual Report and Accounts 2010" (PDF). Everton Football Club Company Limited. Archived from the original (PDF) on 21 February 2011. Retrieved 9 February 2011. ^ "Everton Reveal Strong Financial Results | Everton Football Club". www.evertonfc.com. Retrieved 2 September 2015. ^ "Premier League Handbook: Season 2009/10" (PDF). Premier League. Archived from the original (PDF) on 6 June 2011. Retrieved 16 January 2010. ^ "Everton secure overdraft with TV money". EUFootball.biz. 17 August 2009. Archived from the original on 20 August 2009. Retrieved 15 January 2010. ^ "Iranian billionaire sells up at Arsenal to take over at Everton". www.telegraph.co.uk. Retrieved 29 February 2016. ^ "Annual Report & Accounts 2014" (pdf). Everton F.C. Retrieved 2 September 2015. ^ "Everton Signs Record Partnership Deal". Everton FC. Retrieved 15 May 2017. ^ "Everton confirm SportPesa as new shirt sponsor". Liverpool Echo. ^ Ducker, James (6 June 2008). "Everton sober up for sake of their young fans". Times Online. London: Times Newspapers Ltd. Retrieved 29 August 2008. ^ O'Keeffe, Greg (4 February 2014). "Boss unveils new umbro partnership". evertonfc.com. Retrieved 4 February 2014. ^ King, Dominic (1 May 2009). "Everton F.C. confirm record commercial deal with Kitbag Limited". Liverpool Echo. Trinity Mirror North West & North Wales Limited. Retrieved 2 May 2009. ^ O'Keeffe, Greg (8 March 2012). "Everton FC agree three-year kit deal with US sportswear giant Nike". Liverpool Echo. Retrieved 8 June 2012. ^ "Everton Two, Liverpool One". Everton F.C. Retrieved 5 November 2011. ^ "Managers | Everton Football Club". www.evertonfc.com. Retrieved 1 December 2017. ^ "History: Managers". www.evertonfc.com. Everton FC. Retrieved 29 September 2015. ^ Culley, Jon (11 May 2009). "Howard ends long search for real No 1". The Independent. London: Independent News and Media Limited. Retrieved 13 May 2009. ^ a b "Everton F.C. records". Soccerbase. Archived from the original on 21 December 2007. Retrieved 16 November 2007. ^ "Gylfi Sigurdsson: Everton sign Swansea midfielder for £45m". BBC Sport. 16 August 2017. Retrieved 25 October 2017. ^ "Everton FC charity's free school approved". BBC News. 14 November 2011. ^ "Monday, 1 December 2014 / Session 6: Multi-sport clubs" (PDF). European Commission. ^ ""Everton in Ireland" launched". Everton F.C. 24 January 2007. Retrieved 16 November 2007. ^ "Ontario Soccer Association". Everton F.C. Retrieved 16 November 2007. ^ "Everton's Annual Report 2004" (PDF). Everton F.C. Archived from the original (PDF) on 13 November 2006. Retrieved 16 November 2007. ^ "MegaSport". MegaSport. Archived from the original on 28 September 2008. Retrieved 21 January 2010. ^ Zeise, Paul (13 July 2007). "Riverhounds kick up ante". Pittsburgh Post-Gazette. Retrieved 9 July 2008. ^ McLeod, Scott (10 August 2007). "Blues Partner Riverhounds". EvertonFC.com. Retrieved 9 July 2008. ^ "Everton Tigers to join BBL ranks". BBC Sport. 20 June 2007. Retrieved 27 June 2007. ^ Prentice, David (25 March 2009). "Everton Shareholders celebrate Chile's Everton". Liverpool Echo. Trinity Mirror North West & North Wales Limited. Retrieved 6 April 2009. ^ "Everton in Chile – The Ruleteros". Everton F.C. Retrieved 6 April 2009. ^ Tallentire, Mark (3 August 2010). "A hundred years after inspiring their name, Everton face Everton again". The Guardia. London. Retrieved 3 August 2010. ^ "The Ruleteros Society". The Ruleteros Society. 3 August 2010. Archived from the original on 6 August 2010. Retrieved 3 August 2010. ^ "Uruguay 2002 – Campeonatos Departamentales de Colonia". rsssf. 6 January 2003. Retrieved 7 April 2009. ^ "Historia de una institución decana del fútbol amateur platense" (in Spanish). Agencia Nova. Archived from the original on 7 July 2011. Retrieved 7 April 2009. 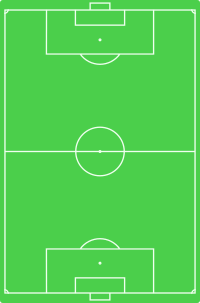 ^ "Argentina Fifth Level (Torneo Argentino "C" – Interior) 2008/09". rsssf. 3 April 2009. Retrieved 7 April 2009. ^ "Elk Grove United". Retrieved 21 January 2010. ^ "Everton AFC – Togher, Cork". Cork, Ireland: Everton AFC. Retrieved 3 August 2010. ^ "The Fix (TV Movie 1997)". IMDb. 31 July 1999. ^ Kelner, Martin (2 March 2009). "Loach and Boorman prove that footballers were once real people". The Guardian. Retrieved 30 August 2011. ^ "Liverpool v Everton: Tony Bellew on 'a day of torment and stress'". BBC Sport. 8 December 2017. Retrieved 23 July 2018. ^ Prentice, David (15 September 2015). "Everton club crest gets Hollywood treatment in new Rocky movie". liverpoolecho. Retrieved 23 July 2018. ^ "Everton Football Club". Chart Stats. 26 May 1984. Retrieved 17 February 2012. ^ "Everton 1985". Chart Stats. Retrieved 17 February 2012. ^ "Everton Football Team 1986 – Everybody's Cheering The Blues". Chart Stats. 17 May 1986. Retrieved 17 February 2012. ^ "Everton FC". Chart Stats. 20 May 1995. Retrieved 17 February 2012. Wikimedia Commons has media related to Everton FC.